55 ppm and 60 ppm. 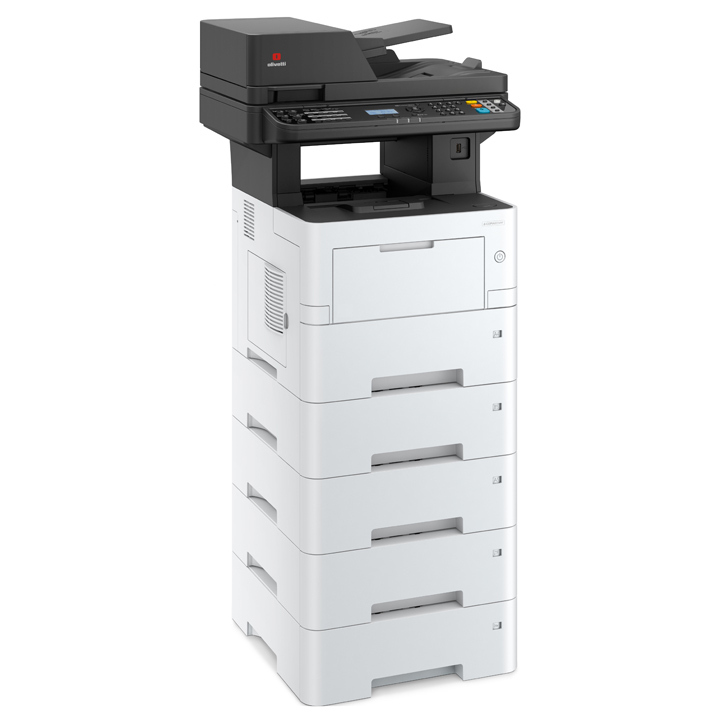 They are the ideal choice for medium to large-sized workgroups requiring a compact, easy-to-use system with decidedly low running costs. Document throughput is optimised and facilitated by the large colour control panel with customisation support, and by the on-board JaWS software development platform. The standard 1 GB memory can be expanded up to 3 GB for improved performance in the case of large printing/copying jobs or for scanning complex documents. Authentication not only provides optimal control of system access but also allows personalised use of the device and the Data Security Kit (optional) ensures that data stored on these devices, during processing, is deleted immediately afterwards, and completely overwritten on when the task has been concluded. Reduced energy consumption, eco- compatible parts, a reduction in delivery packaging, pre-installed toner, greater use of recycled materials, reductions in emissions and long life components - all leading to exceptional reliability, waste optimisation and reduced running costs. 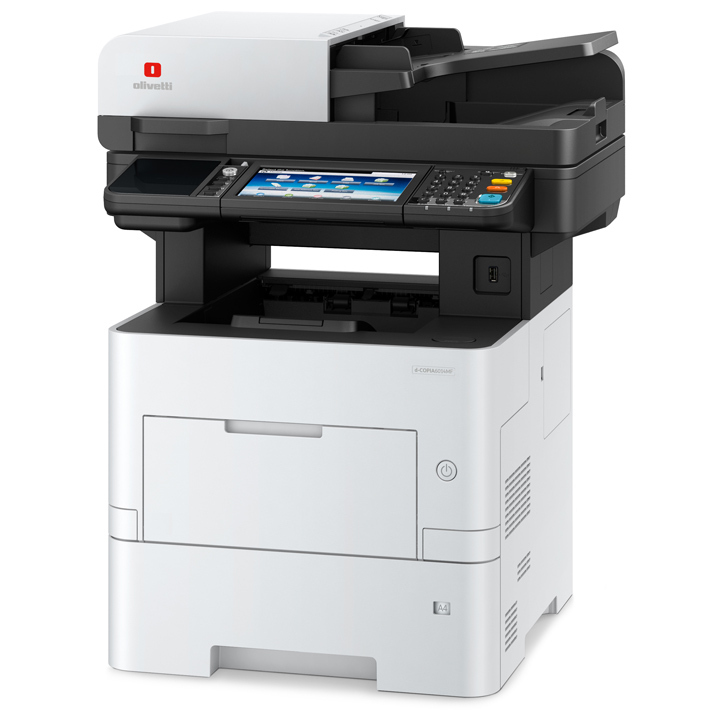 For all models, wireless printing is possible, directly from mobile devices, when both are connected to the same local Wi-Fi network. With Wi-Fi Direct support, print jobs can be run directly from the Olivetti Mobile Print app, which is compatible with both Android and iOS systems. From iOS devices only, jobs can also be printed directly using the AirPrint® protocol without the need to install further software.